The saga of the master bath renovation continues. Although I don't have a picture of the magnificent rain shower and niche for shampoo and soap, it looks so good. More to come of the rest of the room. The shower is a walk-in, large enough that I don't plan to have a curtain or door. The room now feels spacious and elegant. 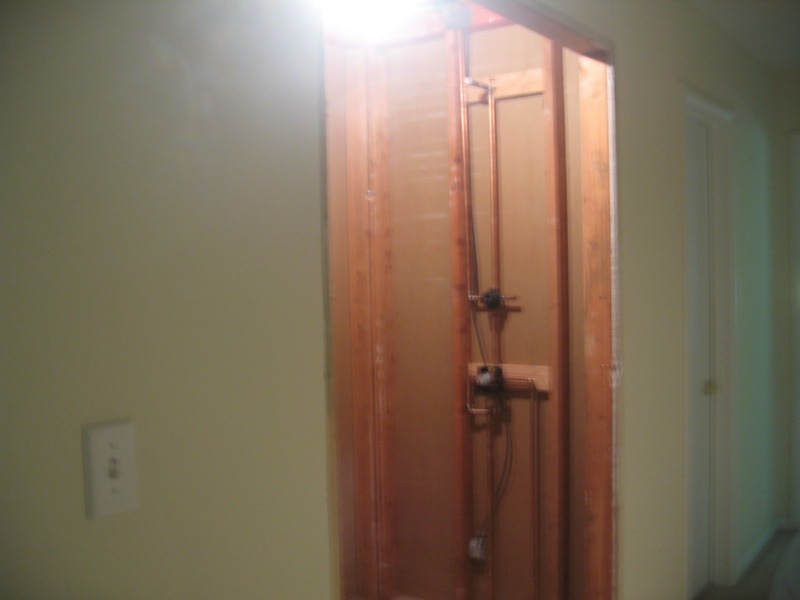 Thank goodness for that huge walk-in storage closet that was in my hallway, which became this shower. I had no real need for the storage as I have a full basement, but the original bathroom was a 60's era, baby blue, cramped little room. As my tile contractor said, there are not many homes of the same age that have a bathroom like this one. wonderful - you will enjoy using this shower room so much. We have a rain shower head in the flat and love it.